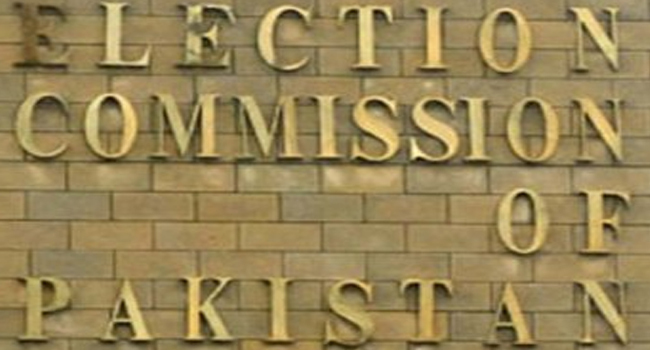 As many as 216 political parties have been registered with the Election Commission of Pakistan (ECP) to contest upcoming general elections against 342 seats in the National Assembly, Pakistan Today has learnt. As a result of a big increase in the number of political parties, the commission has fallen short of election symbols as the registered parties have outnumbered the available symbols. In 2008 elections, 147 symbols were used, with another 34 symbols approved by the Presidency and deletion of eight, as proposed by the ECP, the number of symbols has risen to 173. Decades after when the Communist Party of Pakistan was banned in July 1954 on charges of plotting to overthrow then government and crackdown against its leadership throughout the country, now once again the ECP has registered the party, led by its Central Chairman Engineer Jameel Ahmad Malik. The party is registered under the Article 17 of the constitution. As per ECP, 114 of 216 registered political parties are likely to miss coming polls, as they failed to hold the intra-party elections. The ECP had already said that political parties failing to submit certificates of intra-party elections and statements of accounts would not be allowed to contest upcoming general elections. The recently issued list by the commission says that the country’s major political parties like the Pakistan People’s Party (PPP), the Pakistan Tehreek-e-Insaf (PTI), Pakistan Muslim League-Quaid-i-Azam (PML-Q), the Pakistan Muslim League-Functional (PML-F), the Jamhoori Watan Party (JWP) and the Muttahida Majlis-e-Amal (MMA) are among the leading parties that have yet to hold intra-party elections and submit the relevant documents to the ECP. As per its rules, the ruling PPP is bound to hold intra-party elections after every two years, however, it failed to hold intra-party elections since 2006. In December last year, the ECP said that election symbols would not be allotted to the parties which failed to furnish the details of their accounts and proof of intra-party elections and thus those parties would be barred from taking part in the polls. The media reports say that the PML-Q held intra-party elections in 2009, the Muttahida Qaumi Movement (MQM) and Jamaat-e-Islami held intra-party elections in 2012 and the PML-N did so last year, while the PTI is scheduled to hold the intra-party elections in Punjab by January 19 as it has announced to complete the exercise prior to the general elections. Article 14 of the Political Parties Order 2002 says, “A political party shall be eligible to obtain an election symbol to contest the elections on submission of certificates and statements under Articles 12 and 13, which call for submission of related documents.” According to the order, when any political party or a combination of political parties collectively contravenes the provisions of Articles 12 and 13, it shall not be entitled to obtain a symbol for election. The ruling PPP with Bilawal Bhutto Zardari as its chairman does not exist in the eyes of law as it is not registered with the ECP and cannot contest the 2013 elections and may contest the election with the nomenclature of the PPP-Parliamentarians (PPP-P) led by Makhdoom Amin Fahim, as it did in 2002 and 2008. The party had got registered with the ECP as PPP-P prior to the 2002 election because the PPP then headed by Benazir Bhutto was ineligible to qualify for registration due to its chairperson’s absence from Pakistan. The government of Pervez Musharraf had made it mandatory that the chief of a party seeking registration with the ECP to qualify for contesting election should be present in Pakistan. May be the highest number of political parties in the world. What does it reflect? Our sense of understanding to others.It reflects our mind of brotherhood and unity. Are we Muslim, A nation under one umbrella? At least party heads should realize that getting name registered with Election Commission does not mean he is holding a political agenda applicable. Parties which could not win even a single seat must withdraw names from ECP to ease election process understandable to peoples op pakistan. MAZLOOM AWAMI PARTY IS COMMING SOON IN PAKISTAN ALONGWITH THEIR ARTICLES(MANSHOOR) . we are very happy all politcals had election on time but one think they is no set of christian in Senat Pakistan.